Involuntary before the Penn Oaks. Photo by The Racing Biz. Trainer Arnaud Delacour will look to continue his winning ways at Delaware Park this Wednesday. Delacour has entered a pair of promising and lightly raced fillies in the $50,000 Christiana Stakes. The mile and a sixteenth turf affair for 3-year-old fillies has attracted a field of 13. Through July 2, Delacour has posted a record of six wins from 11 starts at the Stanton oval, and five of the six were with 3-year-olds. He also won the $50,000 Our Mims Stakes with Dark Nile and the $50,000 Stanton Stakes with Aquaphobia. Both were lightly raced, full of potential and won first career stake victories in respective stakes. Involuntary and Strong Gale fit the same profile and were among a total of seven fillies nominated to this race by Delacour. Catherine Mills Involuntary has a record of two wins from three starts with earnings of $43,240. The Kentucky-bred daughter of City Zip broke her maiden by 4-lengths in her career debut going a mile and a sixteenth at Tampa Bay Downs on April 8. She followed by posting a 3-length triumph in a mile and a sixteenth allowance at Pimlico on May 20. 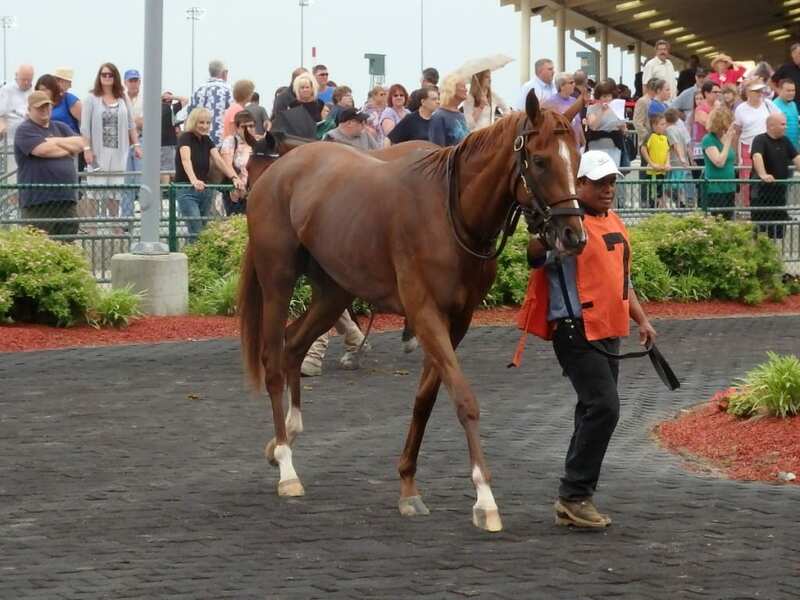 In her most recent, she finished third but was placed fifth in the one mile $200,000 Pennsylvania Oaks at Penn National on June 4. Polivka Equine Holdings, Rock Marcoux and Dan Kjorsvik’s Strong Gale has a career record of two wins and a second from four starts with earnings of $45,500. The Kentucky-bred daughter of Discreetly Mine broke her maiden by 1 ¼-lengths in her career debut at Presque Isle last year. In her 2016 season debut, she finished in a one mile allowance at Tampa bay Downs on May 6. In her most recent, she won a one mile allowance by 1 ¼-lengths at Delaware Park on May 30. Shug McGaughey trainee My Impression, most recently fifth in the Memories of Silver Stakes at Aqueduct in April, is the 3-1 morning line favorite.